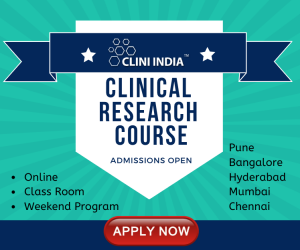 The (Assistant/Associate)Scientific liaison position is a professional, scientific position, non-supervisory and individual contributor role in which the incumbent is responsible for providing general scientific and operational support within the Excipients Science Division administratively reporting to a local management position (Director) at the India site as well as functionally reporting to a management position (Sr. Manager or Sr. Director) in the Excipients Program Unit (EXC PUT) in the US. Key responsibilities include support for the development of missing Excipient monographs and associated reference standards (RS) in the USP-NF that will contribute to USP’s success for bridging the gap in introducing missing excipient monographs. The incumbent will utilize his or her technical expertise, knowledge of excipient compendial monograph standard development process and current regulatory guidelines, and strong organizational and communication skills to ensure timely development of high quality monographs and associated reference standards. The Science EXC PUT works closely with several other departments including Science-Operations, Global Laboratory Operations (GLO), Strategic Marketing and Program Operations-Excipients (SMPO) and Global External Affairs (GEA). • Supports in the preparation of data packages and briefing materials to present to the Excipients EC/SC/EP; manages projects appropriately, and ensures impeccable work-product delivery. • Participates in USP EC/SC/EP meetings, scientific conferences/meetings, outreach visits and other events sponsored by USP and/or pharmaceutical industry , trade associations, and regulatory agencies and provides supporting scientific expertise at EC/SC/EP meetings, internal and external meetings, scientific symposia, industry forums. - Prepares data summary packages, briefing materials and other technical documents for correspondence with EC/CS/EP. - Manages action items from monthly EC /SC/EP telecom meetings. - Facilitates the accomplishment of key departmental metrics. • Applies knowledge of current trends in public health to prepare information for Expert Committee to facilitate decision-making. • Performs other related duties in support of the Excipients –Science Program Unit as assigned. • Assistant Scientific Liaison: Ph.D. in Chemistry or Biochemistry and 2 years or MS in Chemistry or Biochemistry and 5 years, respectively, or relevant experience. An equivalent combination of experience and education may be substituted. • Associate Scientific Liaison: Ph.D. in Chemistry or Biochemistry and 5 years or MS in Chemistry or Biochemistry and 7 years, respectively, of relevant experience. An equivalent combination of experience and education may be substituted. • Scientific Liaison: Ph.D. in Chemistry or Biochemistry and 8 years or MS in Chemistry or Biochemistry and 10 years, respectively, of relevant experience. An equivalent combination of experience and education may be substituted. 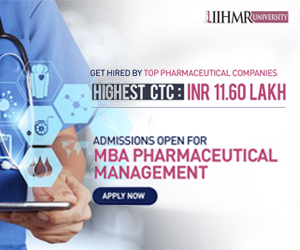 • Experience and knowledge of the pharmaceutical industry and the associated regulatory framework is essential. • Ability to review, analyze, interpret and report effectively on data from various analytical tests. • Proficient in related analytical analysis and instrumentation (e.g., GC, HPLC, NMR, ICP, AA, KF, UV, LC/MS, GC/MS). • Should possess strong technical knowledge in the areas of complex molecules/compounds such as polymers, fats, oils, waxes and plants. • Well-developed organizational, interpersonal communications, negotiation, writing, and strong listening and presentation skills. • Proficient with pharmaceutical testing requirements and test protocols involving USP-NF compendial methods development for Excipient monographs. • The ability to influence without direct authority. • Results driven with demonstrated successful outcomes. • Project Management skills and ability to prioritize tasks and manage multiple projects simultaneously. • Able to operate independently where appropriate, yet understands when to escalate issues and how to establish effective working relationships. • Ability and desire to work well with diverse employees and customers in a cooperative and friendly manner. • Able to work flexible hours when needed. • Prior experience in a scientific based industry.